← Sandra M. McDonough, Esq. 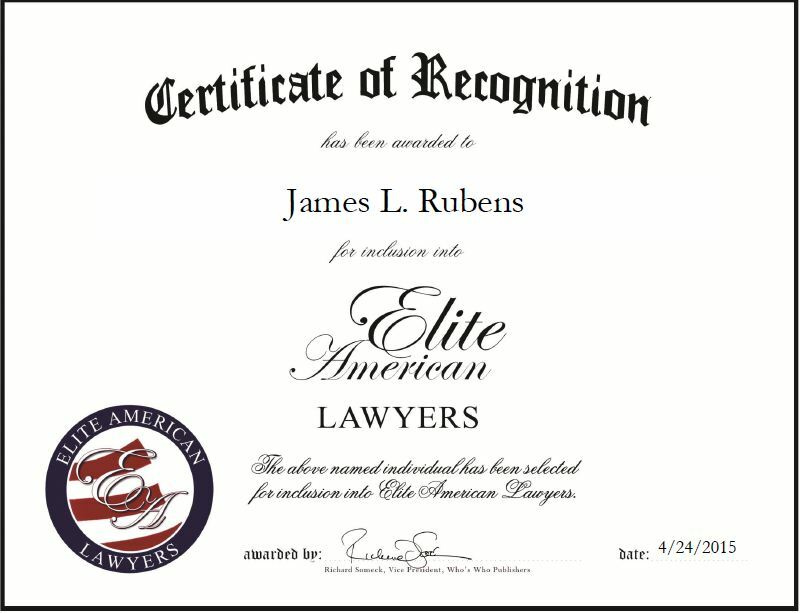 Chicago, IL, April 24, 2015, James L. Rubens, Managing Partner of Davis | Friedman, has been recognized by Elite American Lawyers for dedication, achievement and leadership in family law. Mr. Rubens has an educational background in psychology and planned on pursuing a career in the field until he found a greater interest in law. He realized that he could affect greater change as an attorney and help many more people than he ever could as a psychologist, and has been practicing law for the past 35 years. Mr. Rubens began his legal career as a defense attorney, specializing in felony defense. When Mr. Rubens transitioned to a different area of law, his background gave him an edge as many did not have his trial experience. His law firm has an exceptional reputation in the Chicago area and is respected by both judges and opposing counsel. Mr. Rubens believes this is a testament to his, as well as the other attorneys at the firm, hard work and dedication to upholding the standards of law. Mr. Rubens also maintains an outstanding reputation and has been rewarded for his commitment to the industry by being listed in Best Lawyers of America, Top Lawyers of Illinois, Leading Lawyers, and Super Lawyers. An AV rated attorney, Mr. Rubens hopes to continue providing clients with top-notch services for years to come. This entry was posted in Family Law and tagged custody, defense attorney, divorce, high net-worth individuals, litigation, mentor. Bookmark the permalink.